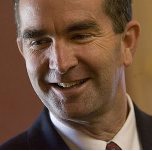 RICHMOND, Va. (AP) - Virginia Gov. Ralph Northam has scheduled a special session of the General Assembly so lawmakers can comply with a court order to redraw the state's legislative map. The governor announced Monday that he had signed a proclamation calling lawmakers back to Richmond on Aug. 30. The special session will come after a federal court in June found that 11 House of Delegates districts were unconstitutionally gerrymandered and ordered lawmakers to redraw the state map by Oct. 30. Virginia Republicans have appealed that ruling to the U.S. Supreme Court. GOP House Speaker Kirk Cox said in a statement Monday that the chamber would convene as constitutionally required, though he said the appeal effort would continue. Northam says it's "in the public interest" to finalize constitutional maps as soon as possible.